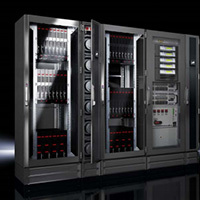 42U's containment solutions support both cold-aisle and hot-aisle segregation depending on the unique requirements of your data center. With our vendor independent approach, 42U can review your specific environment and help you find the best infrastructure solutions for your data center, server room, computer closet or server rack. In-Row, precision cooling offers flexible & scalable cooling solutions optimized for high density applications. Deliver an "at the PC" experience with high performance KVM switches. Manage, access, and control servers throughout your facility or remote locations with these highly-scalable, highly-configurable systems. 42U believes businesses benefit financially by continually improving their management of energy resources, and as a result, the environment benefits from reduced levels of related pollution. For over 20 years, 140,000+ clients have entrusted their data center needs to 42U. We commit to providing solutions that best meet your needs and improve overall efficiency. Increase rack density with row-based, high-density cooling solutions. “Precision Cooling” that optimizes your server cooling strategies. Up to 57 kW cooling output in under 4 ft2 footprint. Save energy with high water inlet temperatures. EC fan technology minimizes operating costs. Cool higher heat loads by isolating cooled air from hot equipment exhaust. Reduce or eliminate “Bypass Air” and “Recirculation”. Customized solutions for any environment. Proactively monitor and protect mission-critical equipment. Customizable power control and active monitoring down to the outlet level. Customized alert thresholds and alarms. 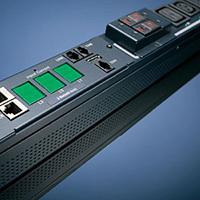 Build-Your-Own PDUs for the perfect fit. 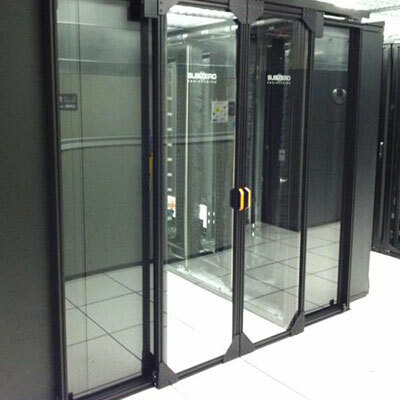 We are vendor and technology independent, providing complete unbiased guidance on developing your data center solution. This allows us to assess each technology and evaluate and recommend the best solution for your application. We believe in developing a true business relationship with all of our customers. Our complete discovery process helps us understand the unique requirements of your environment, allowing us to make educated recommendations and develop the best solution for you. Our team of experts understand not only facilities management, but the special requirements of mission critical facilities. We are dedicated to help you create the most cost-effective solution that meets the demanding availability needs of your business. Leveraging our best-practice expertise in monitoring, airflow analysis, power, measurement, cooling, and best-of-breed efficiency technologies, we help data center managers improve energy efficiency, reduce power consumption, and lower energy costs.